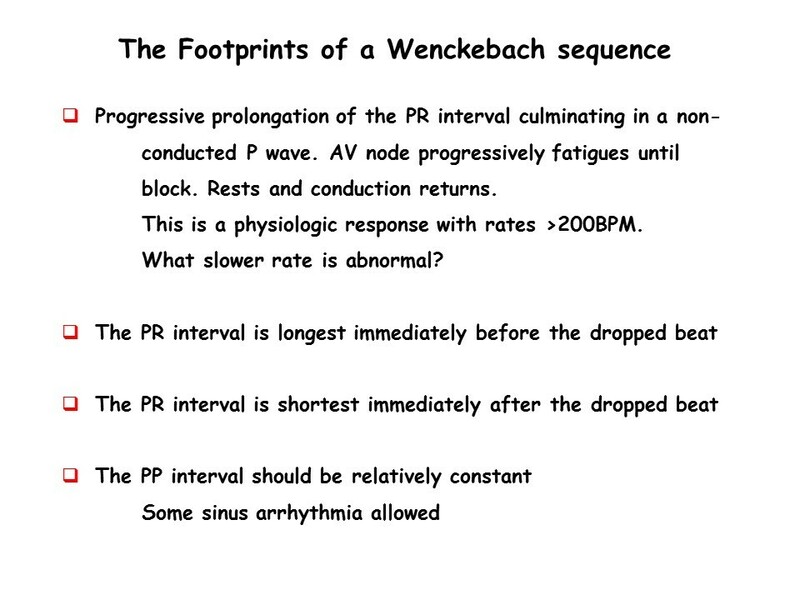 Cardioscan Memo 47 I A classical Wenckebach sequence without a pause. I have to learn something new every day! In my teaching, I always state that a classical Wenckebach sequence must have a pause. When I looked up my definition of Wenckebach, I noted that I didn’t include a pause in the definition, but rather a dropped beat only. Here is the typical Wenckebach sequence with a pause. Well today I was shown a typical Wenckebach sequence, which because of its timing had no pause! I first thought this was complete heart block.